Every Performix supplement is driven by our TERRA Intelligent Dosing technology, utilizing intelligent delivery to help maximize every single molecule's potential...period. To outperform, outlast, and outdo. 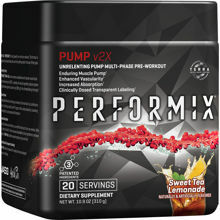 Pump v2X is Performix's most powerful nonstim pre-workout. This formula is designed for next-level athletes who won't let anything stand in the way of their goals. 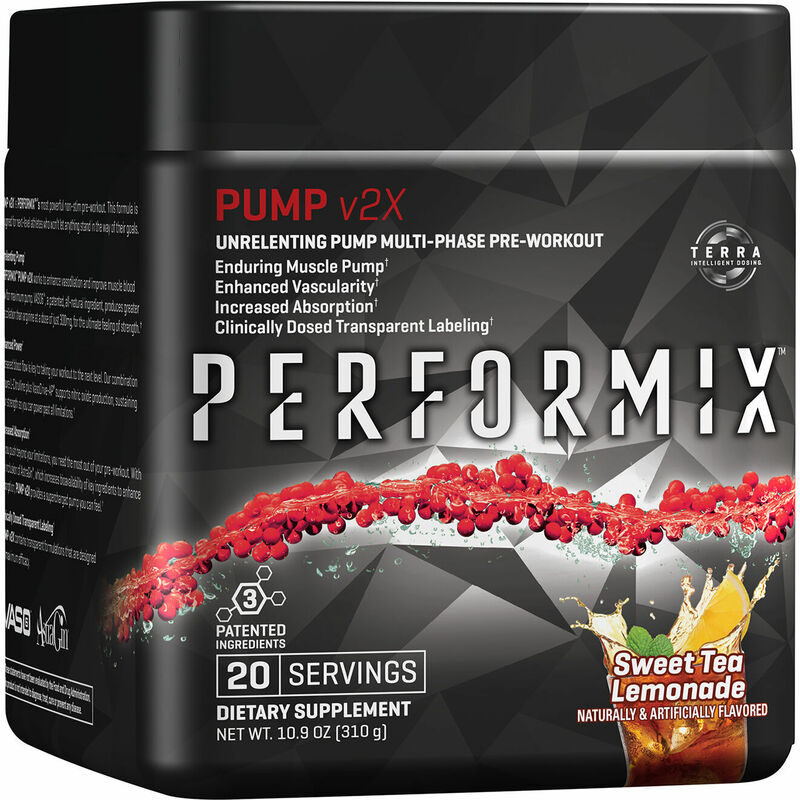 Performix PUMP v2X works to enhance vasodilation and improve muscle blood flow for maximum pump. VASO6, a patented, al-natural ingredient, produces greater vasodilation than arginine at a dose of just 300mg, for the ultimate feeling of strength. Increased blood flow is key to taking your workout to the next level. Our combination of pure L-Citrulline plus VasoDrive-AP supports nitric oxide production, sustaining your strength so you can power past all limitations. As you push beyond your limitations, you need the most out of your pre-workout. With the inclusion of AstraGin, which increases bioavailability of key ingredients to enhance absorption, PUMP v2X provides a supercharged pump you can feel. PUMP v2X contains transparent formulations that are designed for maximum efficacy.